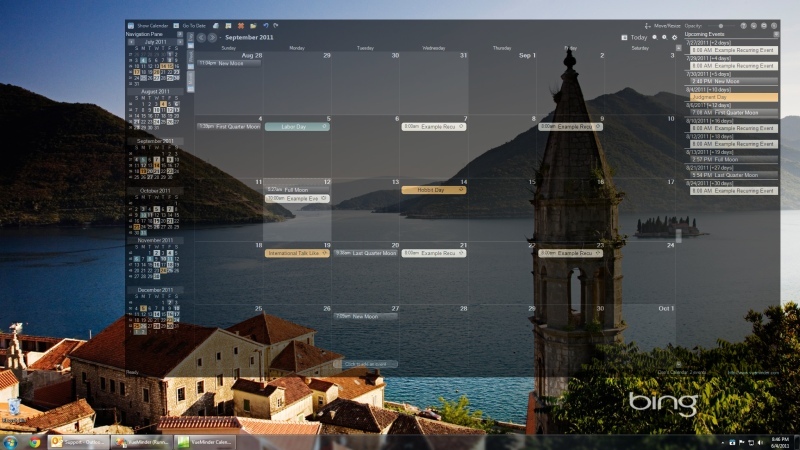 VueMinder Lite USB is a free calendar app that can run from a USB stick or cloud drive. It requires no installation and won't modify your computer in any way. Simply download and run on any Windows PC - even if you don't have admin rights. If you're looking for the perfect offline PC-based companion to Google Calendar, you've found it in VueMinder, which supports automatic synchronization with Google Calendar and can show your schedule regardless of whether you happen to be online or offline. ICS calendar subscriptions are fully supported, along with the ability to import or export ICS files. Calendars can be saved as web pages (HTML) for publication to your website or sharing with others. Print features are also provided, with a number of layout styles and a preview window that dynamically refreshes to show exactly what will be printed. - Added support for entering times using a 24-hour format without a colon (example: 1630). - Corrected a problem with snoozed reminders sometimes not re-appearing for recurring events that happened more than 7 days in the past. - Other minor corrections and improvements.